Yad Izhak Ben-Zvi, leading institutes for research, education (Photo by: Yehuda Karniel). Established in 1969, Yad Izhak Ben-Zvi is one of Israel’s leading institutes for research, education and culture. Named after the second president of the state of Israel, the institute continues the president’s legacy of educating the public about the Jewish connection to the Land of Israel. Ben-Zvi Institute focuses on the study of the Land of Israel, Jerusalem studies and the study of Jewish communities of the East. Back in 1952, there was no fancy presidential residence in the newly established country. Therefore, Izhak Ben-Zvi had to welcome his many guests, both common Israelis and prime-ministers, in a small and modest cabin in the center of Rehavia neighborhood. Izhak Ben-Zvi believed that it wasn’t appropriate for the “first resident” to be sitting at a luxurious palace while many residents are still living in tents and cabins at refugee camps throughout Israel. And so he practiced what he preached and to this day, that same small cabin hosts events, conventions and seminars and is open to the general public. However, most of Yad Izhak Ben-Zvi activity is done at the same building that used to be the home of Ben-Zvi and his wife in Rehavia neighborhood. It houses several educational institutes, a library and a publishing house, which produces dozens of books and periodicals every year. The school for Jerusalem studies after Haim Koversky is also based in Ben-Zvi’s house. The school offers activities, training and qualification to the general public, the education system, and the military. The school also trains and certifies tour guides. There is a Documentation Center of North-African Jews. The center organizes conferences and seminars and it has its own publication house dedicated to the history, art and creations of the Jews of the East. The Institute for research on Eretz Israel focuses on the continuity of the Jewish population in the land of Israel. The institute aspires to raise awareness in regard to the history of population and the study of Jerusalem. The Yad Ben-Zvi library is open to the general public. It specializes in the history of the land of Israel, and the documentation of Jewish communities of the East. The library also holds the photographic archive in memory of Shoshanna and Asher Halevy, which offers a wide collection of tens of thousands of photographs, documenting the history of the Jewish people and the land of Israel. The institution offers field tours with a variety of special themes for groups and families. You will find culinary tours, musical tours, theatrical tours, tours tracing the tracks of artists, writers, and poets, and even Bar-Mitzvah events. In addition, there are tours designed specifically to meet the requirements of the education system, special school & student tours and accessible guided tours for people with physical limitations and disabilities. 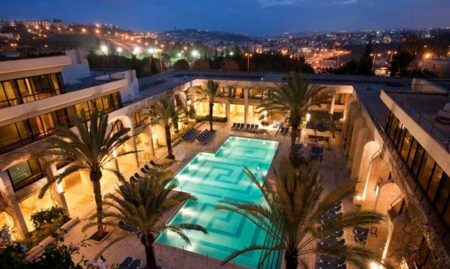 Yad Izhak Ben-Zvi tours will take you on a journey through the small alleys and the pictorial nature of Jerusalem. 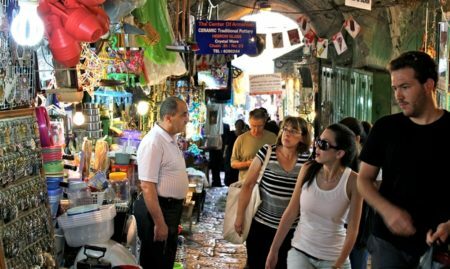 You will acquire tools for a deeper understanding of Jewish history in Jerusalem, and get to know the colorful characters who had built this city.